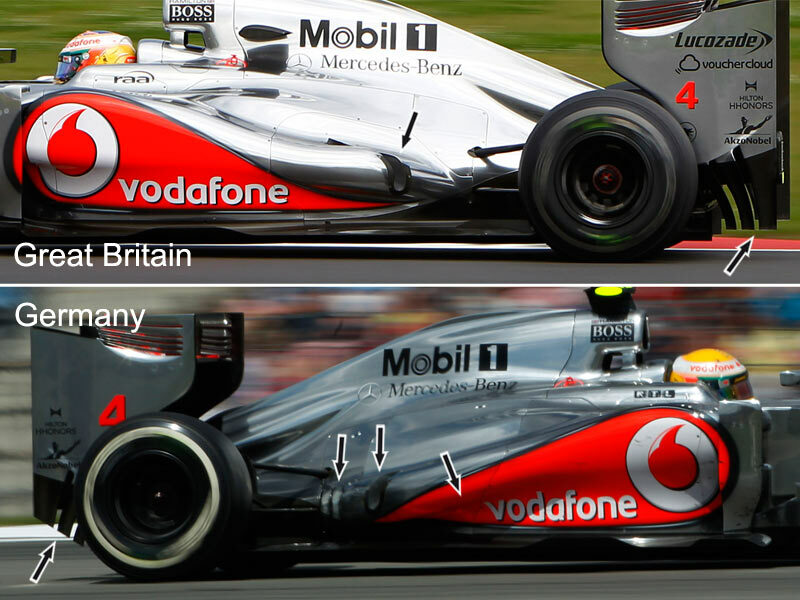 McLaren have run two interesting wing packages at both Spa and then Monza, two circuits known for their high speed straights, with Spa adding a high number of medium speed corners to the mix. 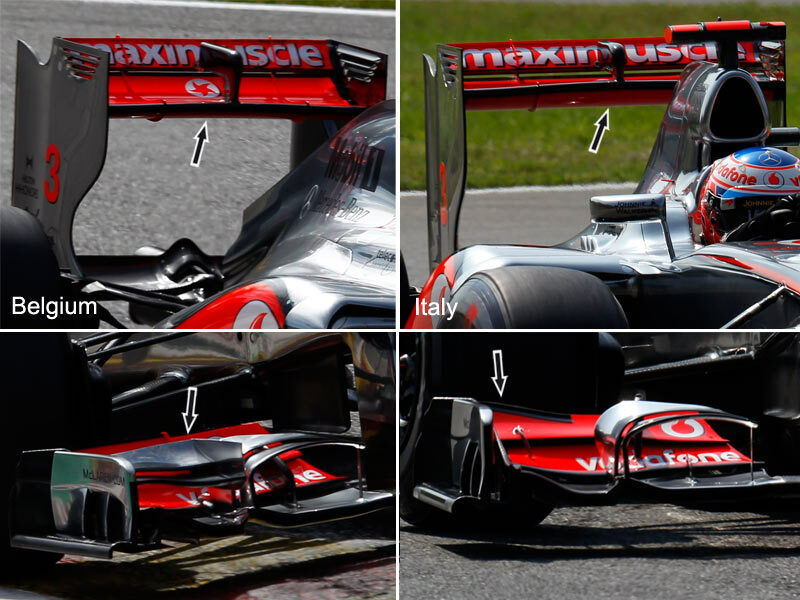 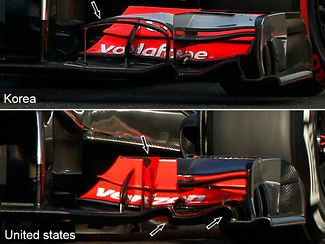 McLaren have brought quite an interesting update to Spa as they have changed the way to tackle airflow around the top and edges of the sidepod. Previously, the car's sidepod featured a fairly traditional, vertical and solid sidepod panel. 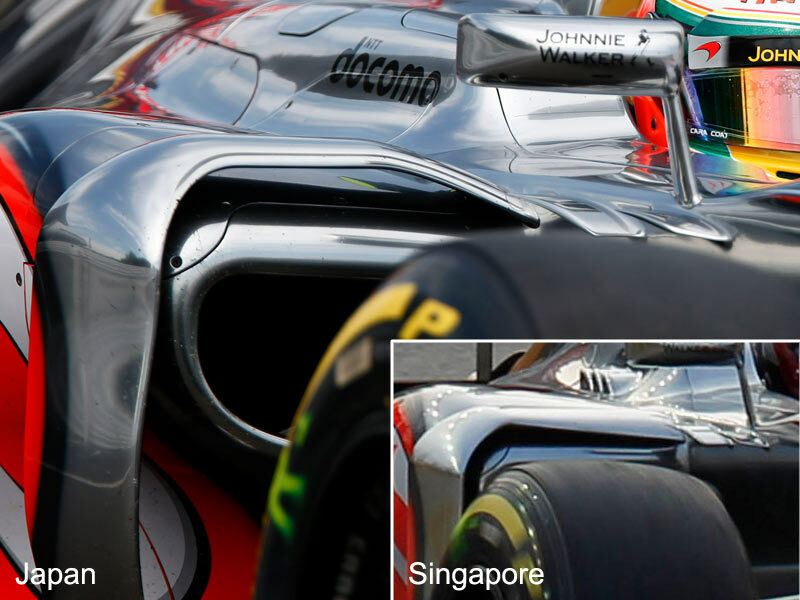 Since the Spanish GP, the leading edge of the top of the sidepods featured two or three vertical fins - as on the Lotus - to better manage airflow that will eventually end up streaming over the exhaust outlet. 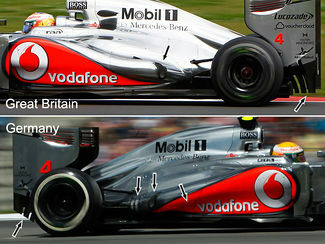 Is McLaren now copying back from Ferrari? 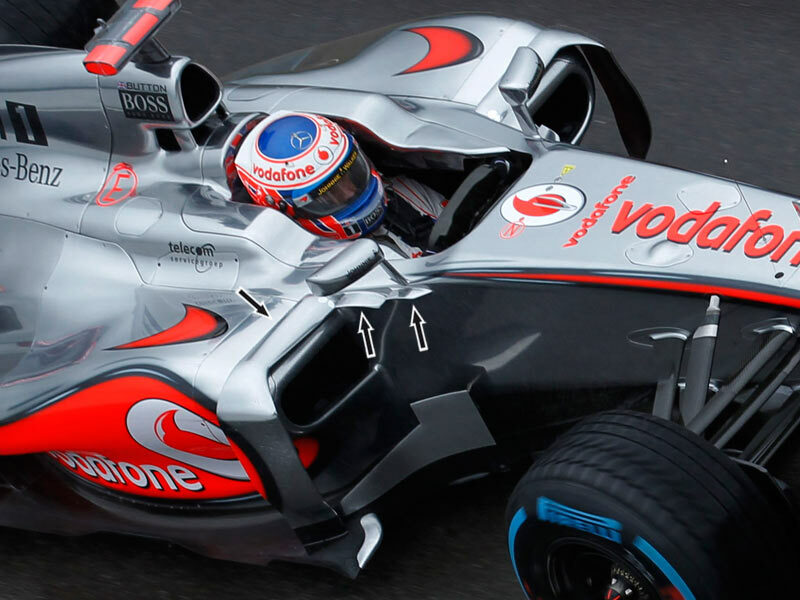 McLaren's car updates have pushed the car back up in between the front runners, and unsurprisingly, the improvement came once again from exhaust modifications. McLaren redesigned the sidepod to have the exhaust exit lower above the ground and further back, creating a more consistent flow onto the outer extremities of the diffuser. 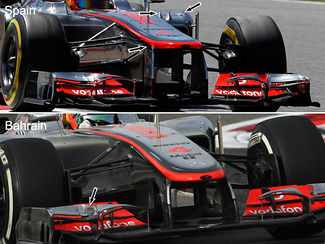 Since their dismal Bahrain GP where the team only caught a mere few points, McLaren have introduced several new parts on its car, mainly on the front end. Team principal Martin Whitmarsh commented earlier this week that regulations are now so strict that there is often more to gain by optimizing the front in order to get more quality air to the rear of the car, rather than actually developing the rear.